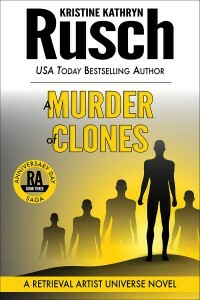 A Murder of Clones Published! The Journey Begins! Now it’s all in your hands. Or maybe, I should say that the journey finally continues. Anyway, the news is that the third novel in the Anniversary Day Saga, A Murder of Clones, has finally hit print. Some of you have read the novella, also titled A Murder of Clones, but that’s just the first section of the novel. If you want to continue with the next five books after this one, you’ll need to read the whole thing.